Czech photographer Josef Sudek, who is best known for his moody, Romantic shots of still lifes and street scenes, was an influential advertising pioneer. Though this commercial aspect of his oeuvre is often overlooked, he collaborated with designer Ladislav Sutnar and architect Otto Rothmayer to create striking ads that rival the work of better-known contemporaries. This aspect of his career was short lived, however. The nationalization of privately owned businesses in Czechoslovakia at the end of the Second World War, coupled with the Communist takeover of 1948, made advertising largely superfluous. 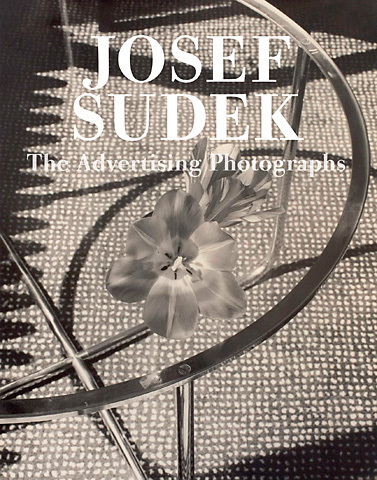 In this volume, Sudek's striking commercial portfolio is presented for the first time. The book includes an introduction by Czech Modern art historian Vojtech Lahoda, as well as a complete bibliography. In 1978, Sonja Bullaty-a former student of Sudek's-edited the first monograph of his work, which firmly established his reputation as one of the great photographers of the twentieth century. That volume was unrivaled prior to the publication of this monograph, which, in concert with two other concurrently published books, creates the most extensive compilation of Sudek's work to date.